I had an indoor yard sale on Sunday and despite the bad weather still came away with more than 250$. 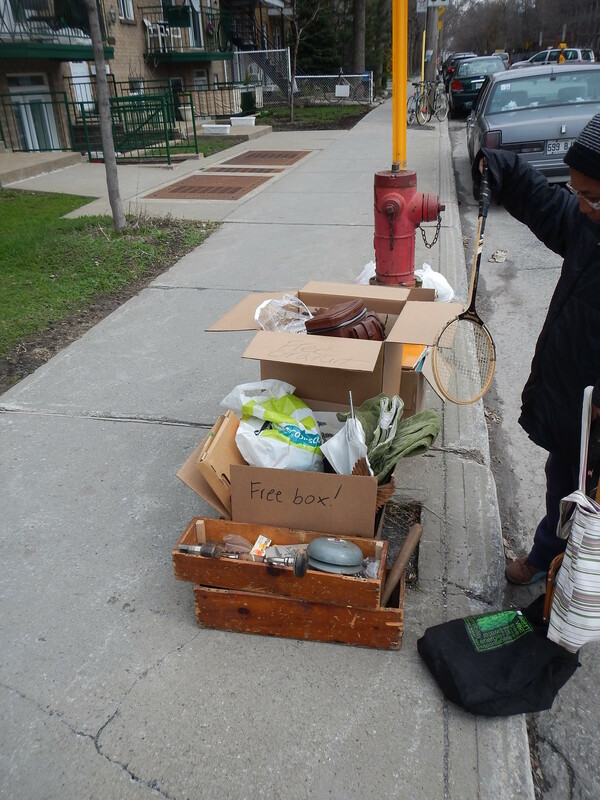 I took Monday off to do a much needed spring clean and decided to get rid of around four boxes of marginal yard-sale type things, many of which I had held onto for far too long. 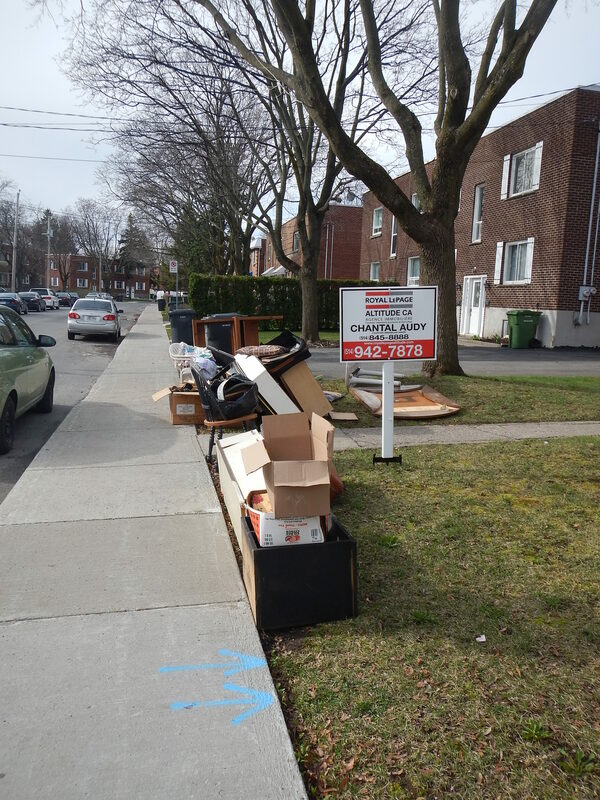 I placed the boxes on the curb early (it was garbage day) and made a CL “curb alert” ad in the free section. By the time I came back later many of the things were gone. I think that’s a good strategy to use if you want to get rid of your old stuff. 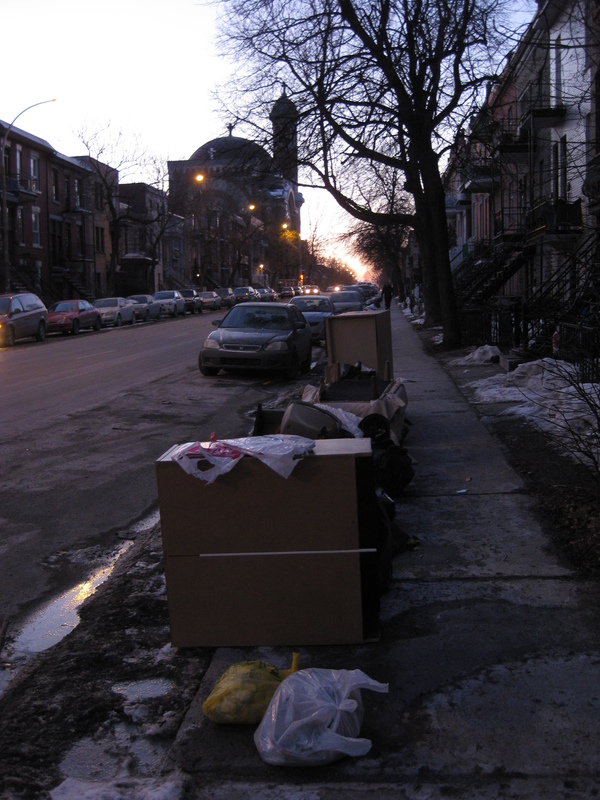 On yesterday’s trash run I took a long, meandering route and ended up going to a few new neighbourhoods. I started at this currently productive spot (above) near NDG but also ended up going through garbage days in Hampstead, Ville St Laurent, Cartierville and Laval before finishing up with a bit of Villeray. The warm weather is making me a bit more adventurous. It was cool going to Cartierville and Laval, both places I haven’t explored much. I think I’ll try to get to new neighbourhoods more often now that it’s warm out. I’ve found a lot of cool things at this spot recently recently and this time around came away with a 1940s-era cheque writer and protector. I’m not sure exactly how it works (especially the “protector” part) but the number keys and stamp seem to work as you’d expect. It’s in fantastic cosmetic condition with no paint loss and nice chrome edging. These machines seem to go for around 100$ on Ebay (shipping included). I stopped at this spot in Ville St Laurent. Many of the boxes were full of musty, mostly ruined Chinese books. 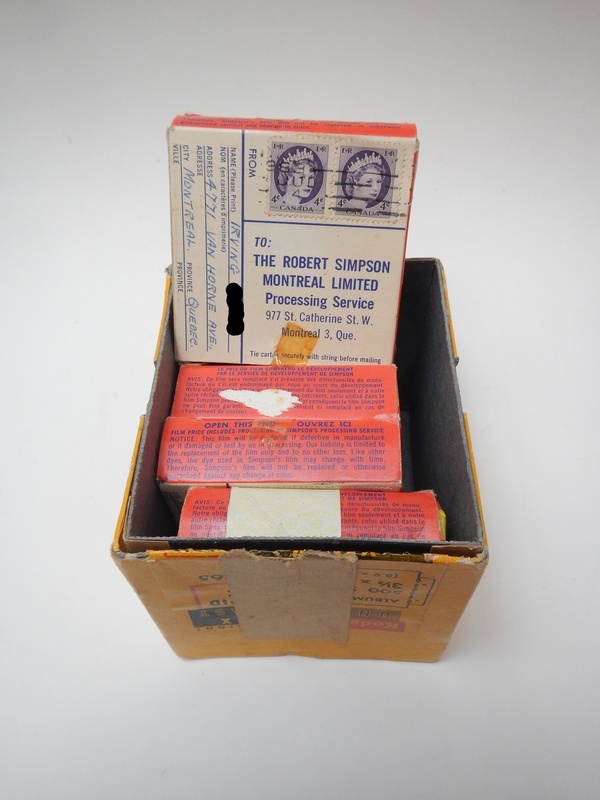 One box contained a collection of also mostly ruined 45s. Some were salvageable, however. They look to be late 50s – early 60s Chinese music, some of which appears to be propaganda. 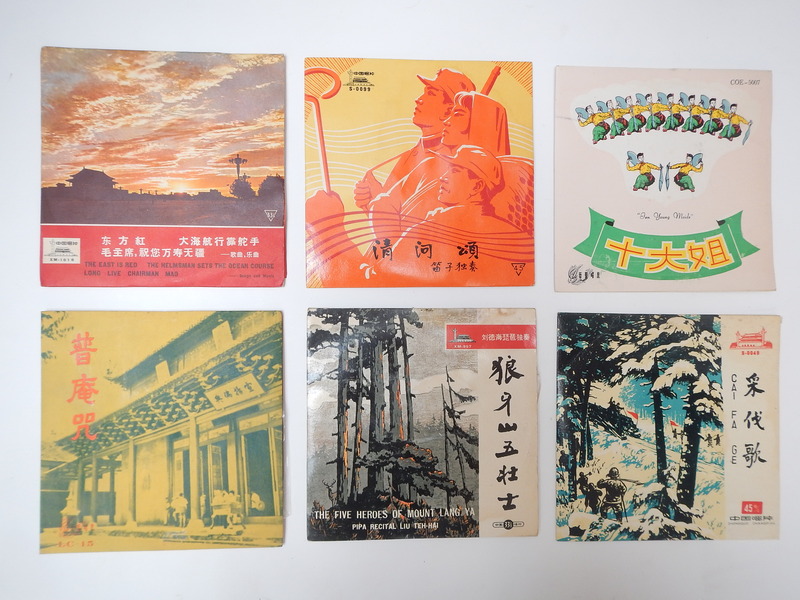 The top left lists songs called “The East is Red,” “The Helmsman Sets the Ocean Course,” and “Long Live Chairman Mao.” I’ve never really come across any interesting Chinese items before so it was cool to find these. 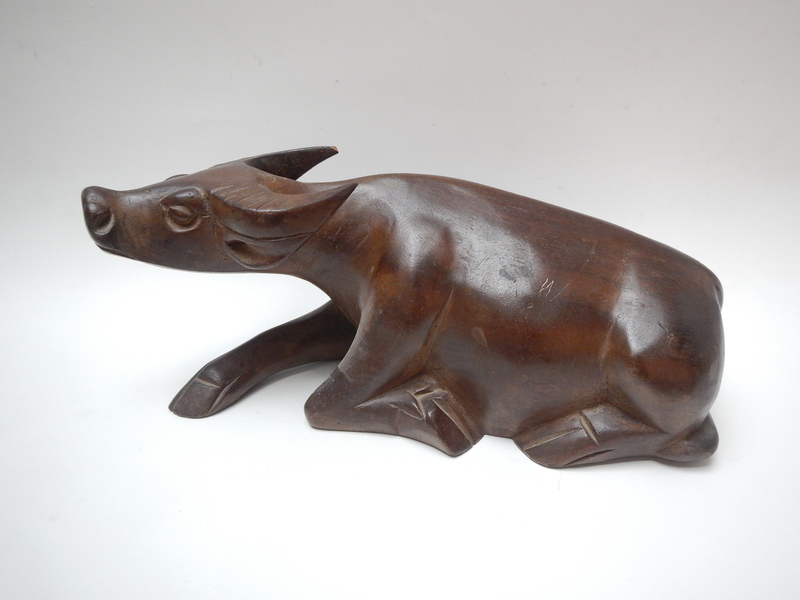 Inside the trash bin in the background was this carved wooden bull. It’s in good condition, the only issue being a barely noticeable chip on one of the horns. It measures about 1′ long. I also found these 8mm film reels all of which were made in 1963-64. I don’t have a projector but I did take a look at some of the stills – one video starts looking outwards from a car and another seems to be taken from a helicopter. I love old footage and I hope to check them out very soon. I like that they don’t seem to focus on people as much, I’m a sucker for old footage of cities and environments. I came across this complete mess while in Laval. It looks to me like other garbage pickers had been there before me and ripped apart all the bags. The waste management guys hate when this happens. One of my rules for picking is not to make a mess, there’s lots of obvious reasons why but in general it’s just not good for business. It’s also totally unnecessary. 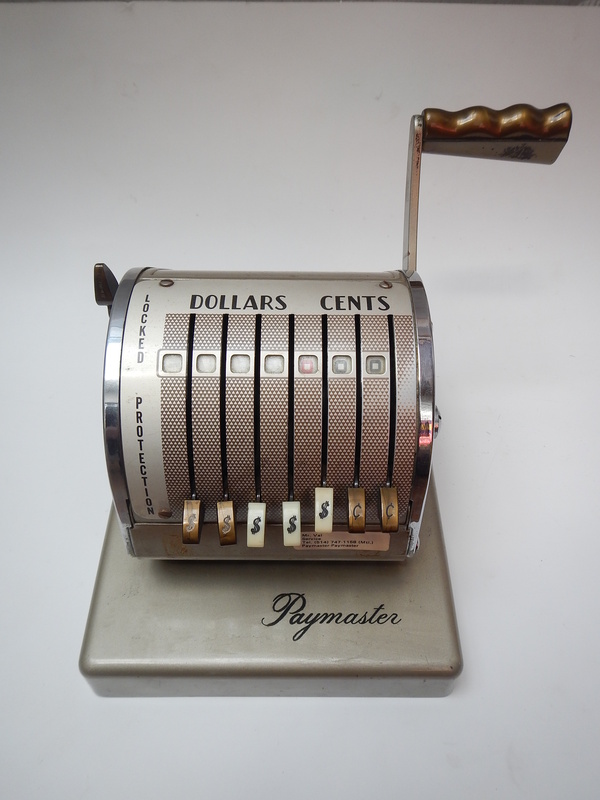 I recently sold some electronic equipment I found a couple months ago in the Plateau (St Urbain/Fairmount-ish). Inside the bags was some DJ equipment, including three mixers and two CDJ 800s. None of the mixers had cables so I sold them all to a repairman for 10$ a piece. 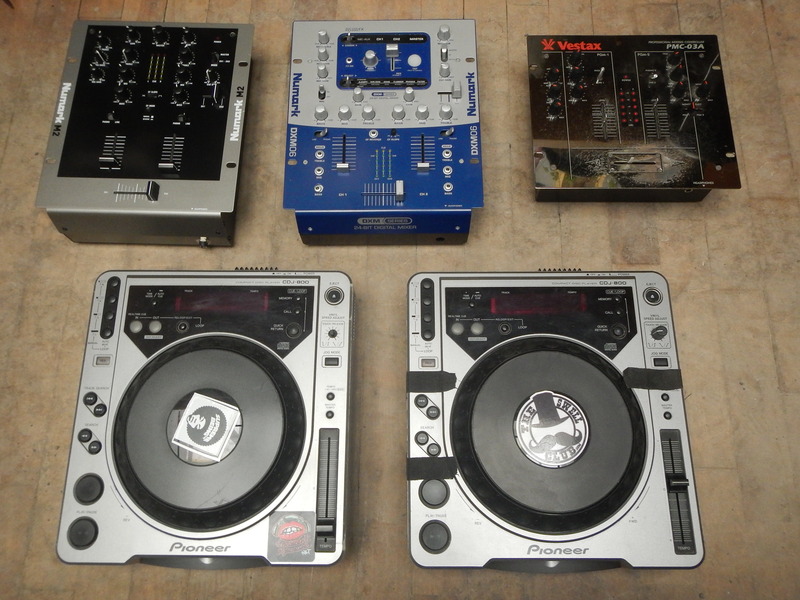 The CDJs (bottom) were a bit more valuable, however, and I finally got around to selling the pair yesterday for 200$. Not a bad haul! It’s hard to believe that someone would throw away their DJ equipment. My first guess was that they were evicted but who knows, maybe they just belonged to a kid with too much money. 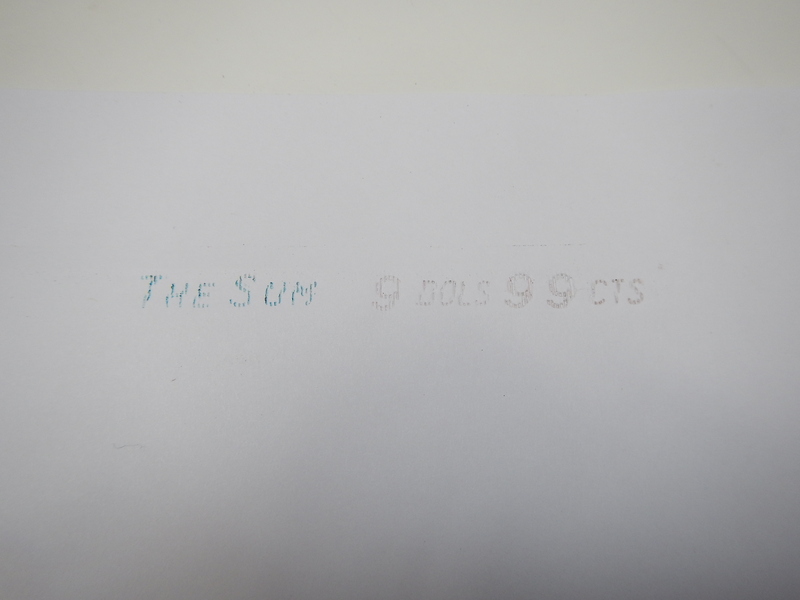 I sold a couple of other things yesterday: the typewriter from the last post for 50$ and the stamp collection from a while back for 60. I’m happy to be moving these things out and hope to stay on top of the selling aspect of the job better going forward. Today’s trip to TMR was pretty uneventful. Hopefully tomorrow (wherever I end up going) is a little better! 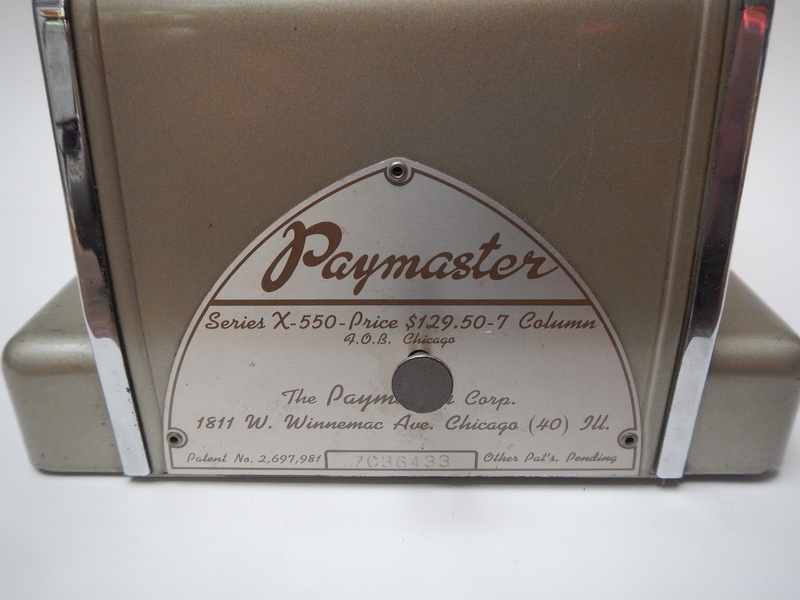 I used those Paymaster machines at a few of my office accounting jobs in Montreal back in the day. They’re smallish and verging on elegant, so I guess they’ve reached collectible status. Big bull! If he’d been half that size, I’d have nabbed him to be the one bull in my cow collection. What a mess at that spot in Laval! It shows a complete lack of respect. Those kind of people give scavengers a bad name. I would love to read about the interaction and conversation with other scavengers whom you might encounter on your route.In the first photo,there is a female picking out a tennis racket from the trash. 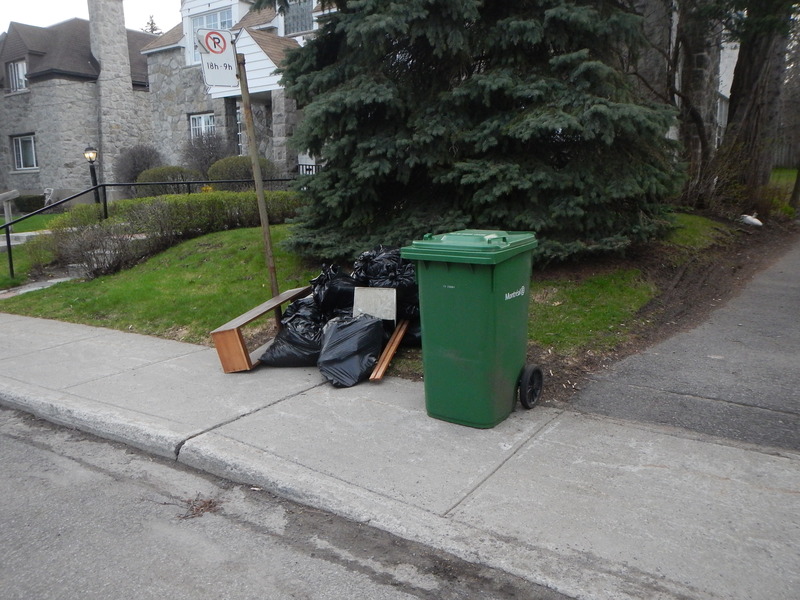 That mess left behind by scavengers in that photo from Laval is why many homeowners do not like garbage scavengers.I am shocked by the huge mess in that photo,all the more in Laval(so far from downtown). Friday morning is recycling and garbage pickup day in Cote St.Paul near Jolicoeur metro.Please do this area from time to time. 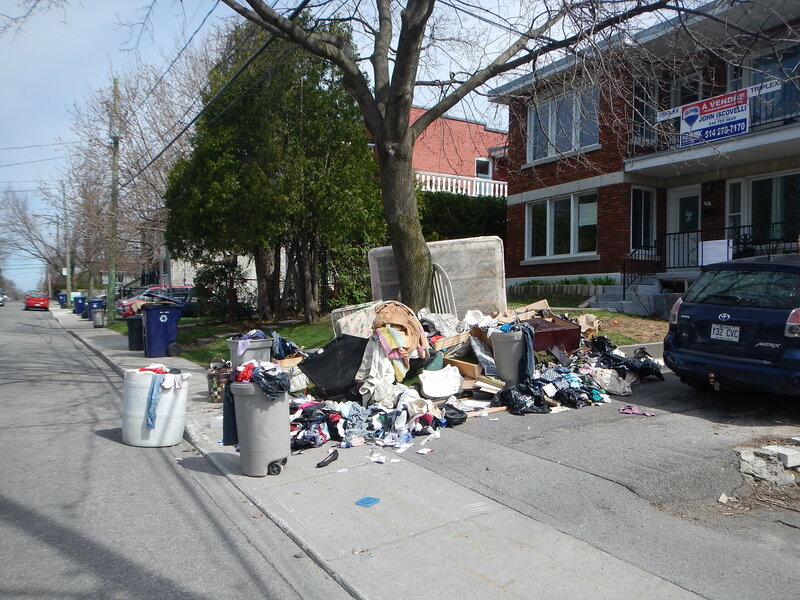 Scavenging is becoming more popular in Montreal.But many people still disapprove of it.Many people think only the poor scavenge.Actually,I have seen condo owners and house owners scavenge too in West Island,people whom I can recognize on my street.Please help shatter the myths about scavening.